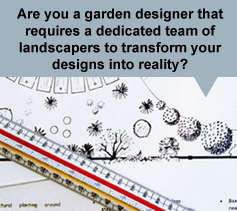 Your team of experienced, passionate landscape designers and gardeners. Mark Stevens studied at Writtle College and achieved a degree in Horticulture with Garden Design and Construction and has also studied Garden Design in Finland. He has now designed and built many gardens in and around London and Essex as well as constructing gardens at the Hampton Court Flower Show and for a Gardening programme live on Channel 4 – The Great Garden Challenge. Marks passion for wildlife and ecology is evident in each of the gardens he creates. Dominic Field also studied at Writtle College and obtained an honours degree in Horticulture with Landscape and Amenity Management. 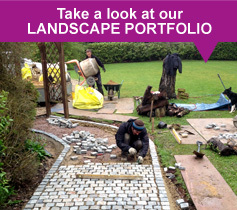 He has also worked in New Zealand in the commercial landscaping and nursery sectors. Dominic has been caring for grounds, gardens and country estates for many years, where his attention to detail is evident. Teaming up together to form Transscape has resulted in a dynamic company that have experience in both maintenance and design and construction. This has produced a company that combines both aspects giving the maintenance a designer’s input and a landscaping project the benefit of a maintenance perspective. Mark and Dom lead a team of qualified and dedicated horticulturists and landscapers to fulfill all aspects of the work we do. Where necessary we enlist the help of specialist trades people to make sure the job gets done to the best possible standards. Transscape is a company that endeavours to make a positive impact on the environment, this means that we are continually developing our business to be greener and more efficient thus having less impact on the environment. We also want to give the best customer experience we can and we hope to surpass the expectations of our clients and are more than happy to go the extra mile to ensure a satisfied customer. Transscape strive to share their horticultural expertise in an innovative approach. Our polite and motivated staff give our clients a proficient service that ensure they get the most for their money. Our business is built on professional attitude and service and this is demonstrated by the recommendations we receive. We have been Corporate Members of the Essex Wildlife Trust for over three years now and we are keen to help educate and support the local community where we can. By working with our customers to create suitable habitats we can help some of the threatened species of flora and fauna in and around Essex. To find out more about the good work of the Essex Wildlife Trust, visit their website. "Thanks very much for your help, advice and hard work in turning our tired, weed-ridden grass back into a lush green carpet!"